Newer: » It’s official: First MMA event to be held in San Pedro! On Wednesday, August 29th the Football Federation of Belize released the names of players that will form Belize’s Under-16 Male Football National Team to participate in the upcoming Unión Centro Americana de Fútbol (UNCAF) U-16 tournament to be held in Guatemala City from October 22nd to the 27th. 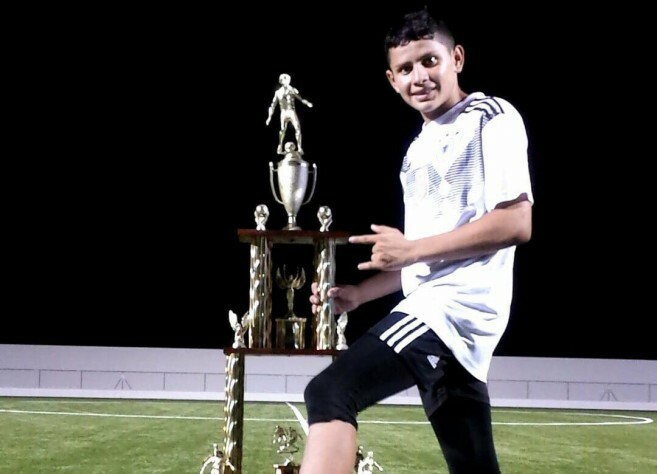 Among the players drafted was San Pedro’s very own, 16-year-old Josue Valle. Valle is a second-year student at San Pedro High School and is no stranger to the football scene here on the island. He is currently a part of Legends Football Club and is partaking in the 2018 Copa San Pedro Football Tournament currently underway. The FFB selected the players from various football tournaments held across the country. The other players on the team include Justin Menzies, Nigel Matus, Ajani Vaughn, Shemar Gillet, Rubin Galvez and Jayron Salazar from Belize City, Michael Bradie, Wilfredo Galves, Jovaunn Ramos, Joshawn Flowers, Kenyon Lawrence, Isaac Castillo and kelvin Gordon from Belmopan City, Collin Gentle, Aubrey Grant, and Lavaun Garnet from Cayo District, Kaylyn Fernandez, Ernel Reyes, T-Jean Bradley, Tylier Peters and Jerremayah Vanegas from Dangriga Town, Henry Palma, Wilmer Espinoza and Clifford Foreman from Independence Village, Rojan Chable and Akeem Arana from Corozal Town, Anderson Chi from Orange Walk Town, and Jermaine Shal and Herman Muschamp from Punta Gorda. The players are expected to be present for camp, held at the FFB grounds in Belmopan City, from Friday, August 31st to Sunday, September, 2nd. The San Pedro Sun congratulates all the players that were selected and wishes them the best at the UNCAF tournament.